Tip of the Month, June 2013: Best Chicken Wings in Raleigh? Enter to Win! Chicken wings. One of the best bar foods, ever. I prefer the drumettes and like them crunchy on the outside and juicy on the inside, with a nice and tasty sauce. I don’t want to kill my taste buds with wings that are insanely hot, but on the other hand I do like some heat and definitely lots of flavor. I like bleu cheese dressing with my wings, at least the buffalo style, but ranch dressing works, too. I want lots of celery and carrots on the side. And don’t forget the napkins, please bring me plenty. If I’m not making a mess, then I’m probably not going to be a big fan of the wings. Extra points for places that have those cute little moist towelettes. So where are your favorite places in Raleigh to get chicken wings? 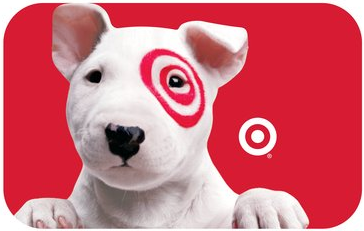 All who respond by 7/15/13 on the comment section of this post and suggest a great wing place automatically will be included in a drawing to win a $25.00 gift card to Target. So please take just a minute and let me know where I need to conduct my next round of market research. This entry was posted in Tips, Tools of the Trade and tagged Best chicken wings in Raleigh giveaway, eat drink and be merry, Kel's Cafe gift card drawing, Kel's Cafe gift card give away, kel's cafe of all things food, Raleigh's best wings, Win a gift card on June 21, 2013 by kelscafe. My favorite wing places have closed, I loved Duffy’s Buffalo wings and their bleu cheese dressing and I was a fan of Asian sesame wings at Michael Dean’s, so I need to find a new favorite wing place. I prefer the wings over the drumettes, so I would be a perfect research partner. I would like to check out the wings at Tribeca Tavern, their Buffalo wings come with gorgonzola “fondue” and they also have grilled wings with Asian BBQ and Japanese black wings with Ponzu sauce. Tribecca sounds great, Mandi. Let’s try this together soon! My favorite wings are the Kickin’ Garlic wings at Woody’s in the City Market in downtown Raleigh. 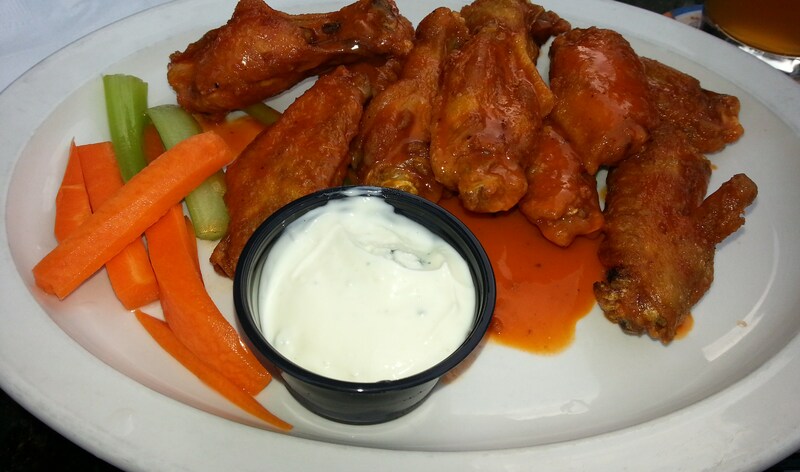 Woody’s wings are jumbo in size and always perfectly cooked, and the garlic sauce is SO flavorful! Donna, I haven’t been to Woody’s in a while, so now you have given me a great reason to go back. Thanks for the suggestion! I’ll be following this one for sure! Hottest that I have found around here is the insanity wing at east coast wings in Cary, second to that would be the ghost chili wings at Hibernian. Favorite every-day wing in Raleigh currently is at the Luxury Box, have them mix the hot and the sweet chili. It is not an uncommon request.Good luck! I can’t wait to try all of these, Brian. Brad will be most drawn to the insanity wings, I think, while the hot and sweet chili ones sound more my style. Thanks for the suggestions! Are chain restaurants allowed? I really love the chicken wings at Outback Steakhouse. They have them in mild, medium or hot and I always go with medium. I haven’t tried Outback’s wings, but now they are on the list! Thanks for the recommendation! We never go anywhere anymore, but every now and then Whole Foods has 3 or 4 different kinds of wings on the hot bar. If you see em, you’ve struck gold. They have these big ole buckets and you can stuff em slam full. They just charge $7 for the bucket and it matters not how heavy it is. Our record is 42 wings and darn near three pounds. We like the garlic parmesan and the teriyaki. But the hots are delish too. Seriously, they are oddly amazing. Mmmmm. Now I need wings. Wow, that sounds like a great deal. I’m in Whole Foods a lot since there’s one right up the street, so I’ll keep my eyes open for these. Thanks for the recommendation, PJ! Cafe Soo on Hillsborough St in Raleigh for Korean fried chicken wings. Delicious! Buffalo Brothers. You can go old school on Capital Blvd. or you can get extra fancy at the new(er) one on Lake Boone. Jeremy – the wings on this post are from Buffalo Bros. It’s right down the road from us and one of Gabe and Brad’s standbyes for wings. I’ll have to get my niece to pick up some of them for me since I don’t have a membership. is there a particular flavor I should try? Wendell Boulevard Pizza of all places makes the best wings I have had in a looooong time. The way they cook them and the sauce, well they are good. Who would have thought such a small place could pack such a punch?? I may have to make a roadtrip to Wendell! Thanks for the suggestion, Pat! The word on the street is that the best wings are at Firebirds Rocky Mountain Grill. I have to agree. Check it out. I’m pretty hard on a wing, and the ones here made me slap my grandma, almost! Research trip??? I’ve never tried the wings at Firebirds, but if they are as good as Firebird’s buffalo meatloaf, then it will certainly be worth it! Thanks for the recommendation, Nicole.